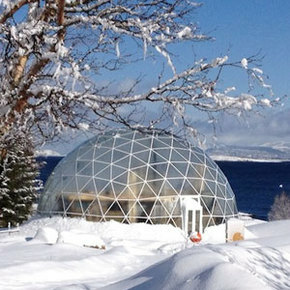 Snøhetta is without a doubt one of the most well-known architecture and interior design offices in Norway, if not the whole world. 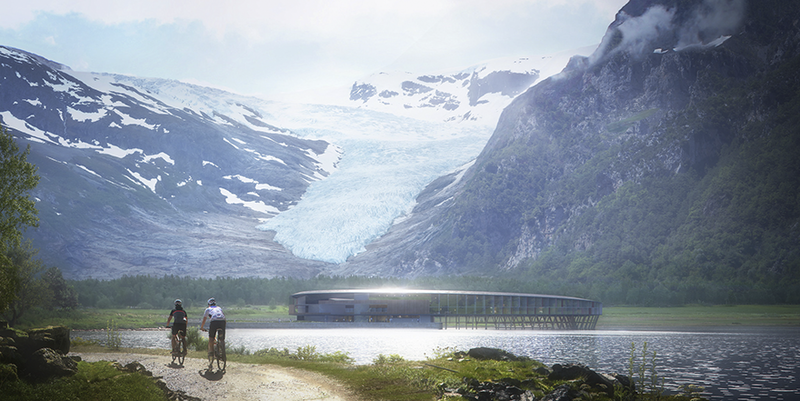 This time the architects, in collaboration with Arctic Adventures of Norway, Asplan Viak and Skanska, have designed the first energy positive hotel in Norway, at the foot of the Svartisen glacier, just above the Arctic circle. 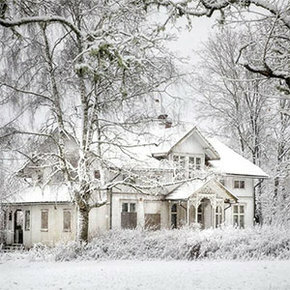 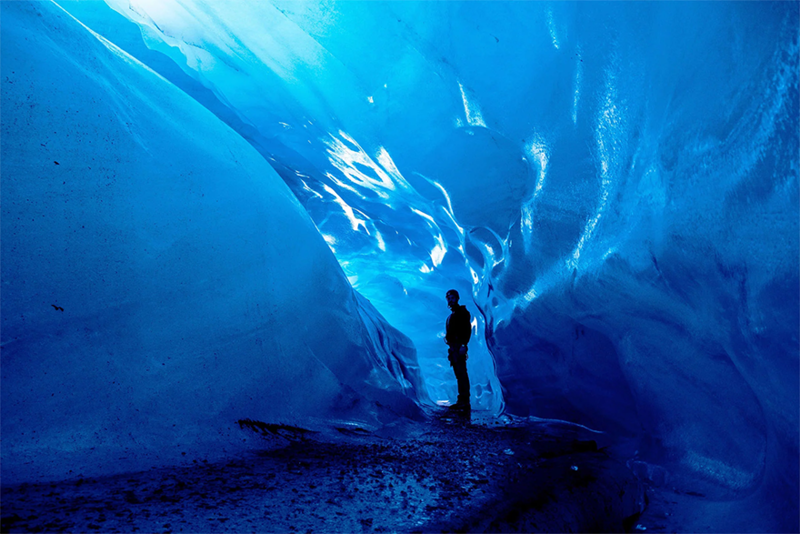 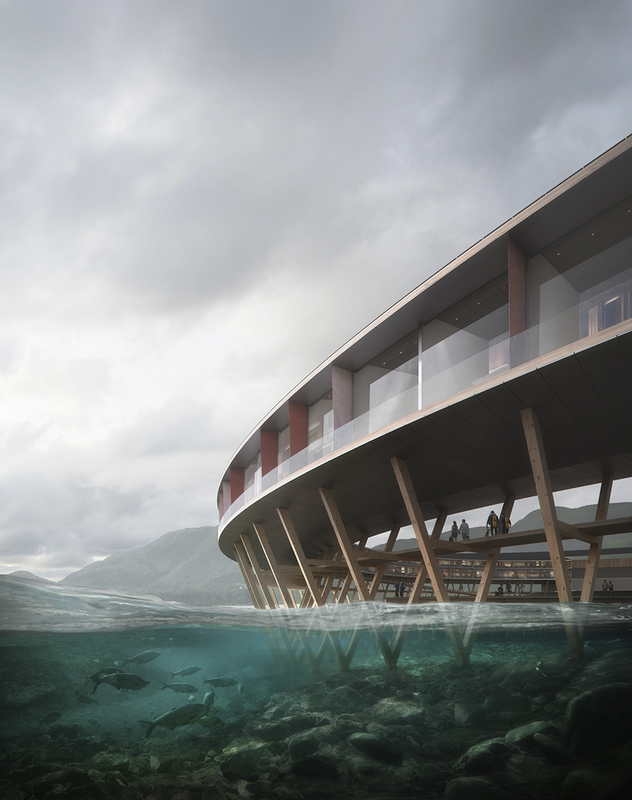 They named the hotel ‘Svart’, meaning Black in Norwegian – inspired by the dark glaciers of Svartisen. 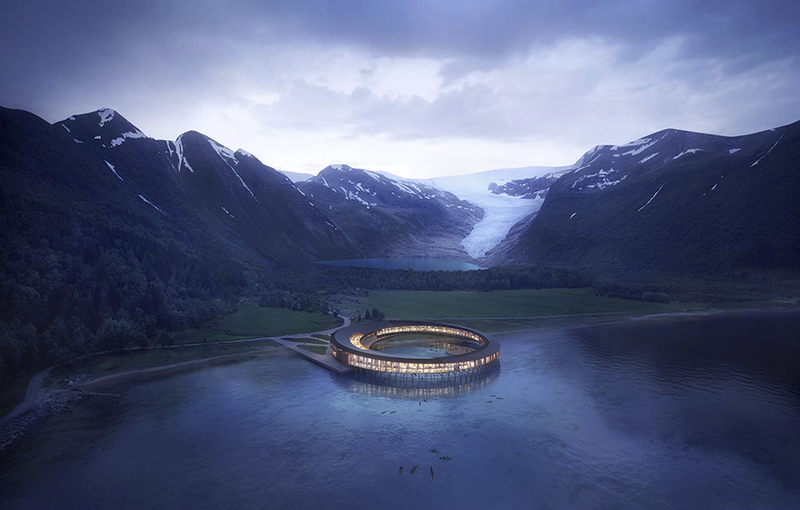 “This will be the world’s most environmentally friendly hotel,” says architect Zenul Khan, one of the architects of Snøhetta. 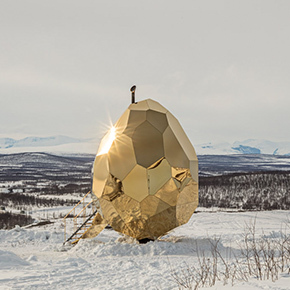 The hotel reduces its yearly energy consumption by approximately 85% compared to a modern hotel and on top of that, produces its own energy – a must in the precious arctic environment. 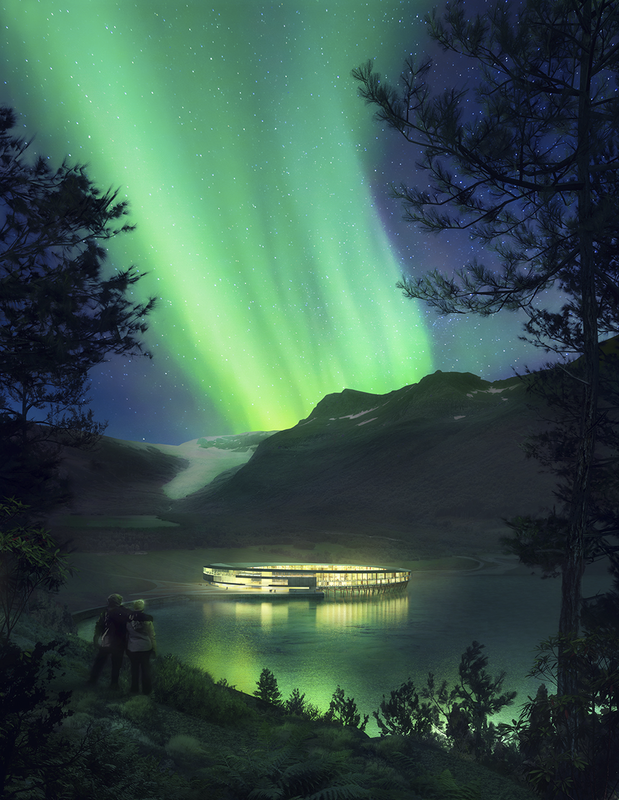 “It was important for us to design a sustainable building that will leave a minimal environmental footprint on this beautiful Northern nature,” says Kjetil Trædal Thorsen, one of the Founding Partners at Snøhetta. 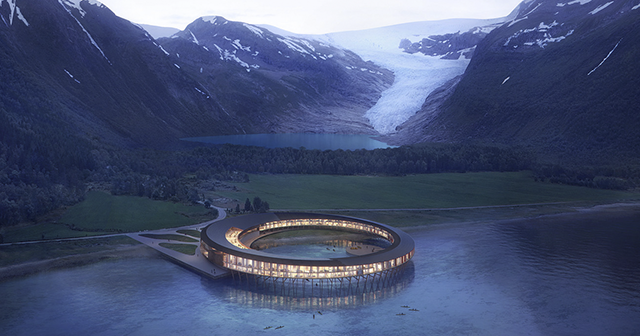 The design of Svart is unique too – thanks to it’s unique, circular form, the hotel will offer panoramic 360-degree views of the surrounding fjord and glacier. 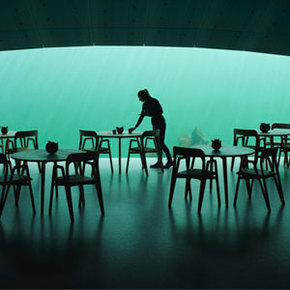 The architects say they took inspiration from traditional Norwegian fishing equipment and fishermen’s houses. 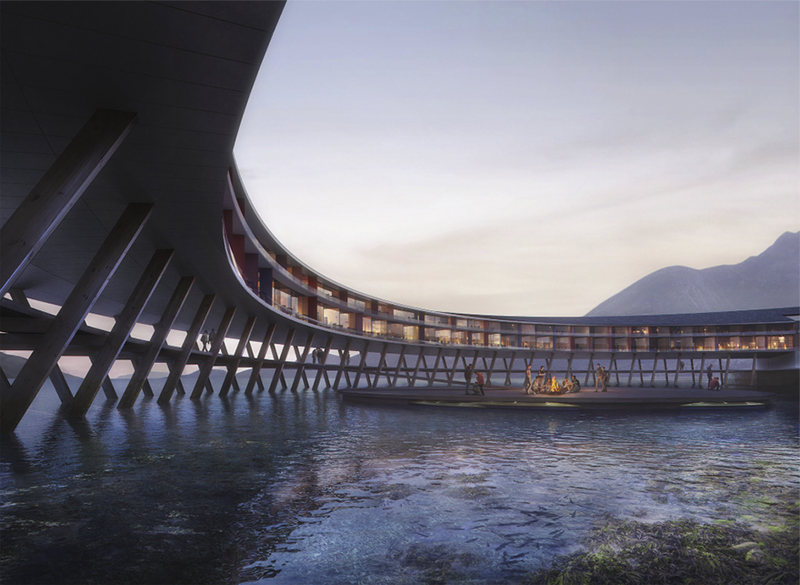 The construction of the hotel started in 2017 and is planned to be finished in 2021. 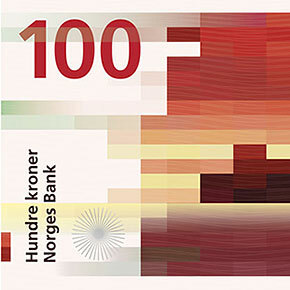 Check out the cool renderings in the gallery below! 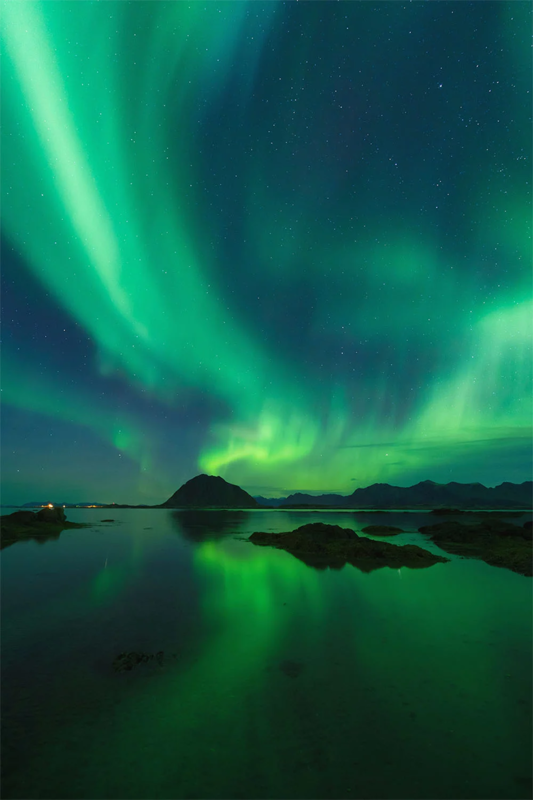 Imagine seeing this view outside your hotel window!